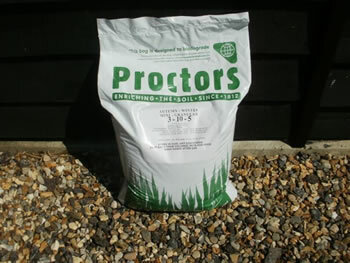 Perfect treat for your lawn during the winter - makes a huge difference to your lawn in the summer. Specially formulated for your lawn to strengthen the root system. Will cover 571 sq m of lawn, treat monthly until spring for best results. We are offering a 20 kg bag of autumn and winter lawn food which will be sent the day you order on a one day service at a price per kilo which is a fraction of the cost of small packs available from the DIY chains and garden centres. The chemical composition is 3 - 10 - 5 (Nitrogen, Phosphate and Potash) application rate is 35 grams per sq metre (this bag will do one treatment for 571 square metres). Good lawns need to be fed during the autumn and winter to strengthen the root system and prevent damage during cold winter months, but without causing excessive top growth. 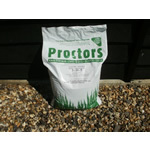 You can use this fertiliser all year round.